Available with or without a train. 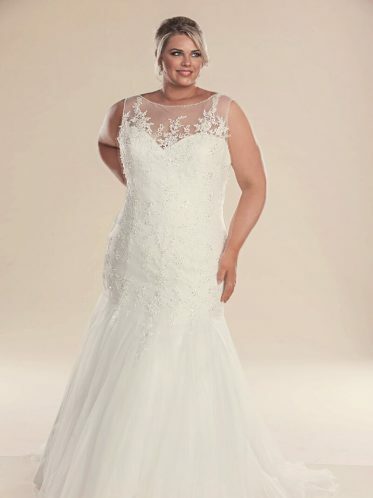 This bridal dress comes in white or ivory. Created for an enchanting bride with an affinity for style. You will fall in love with the bold silhouette and intricate embellishment of the Arabella dress. 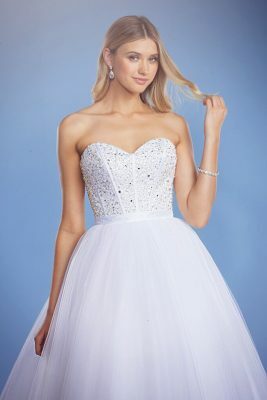 While Dancing the night away with your loved ones as the belle of the ball in this spectacular ball gown wedding dress. 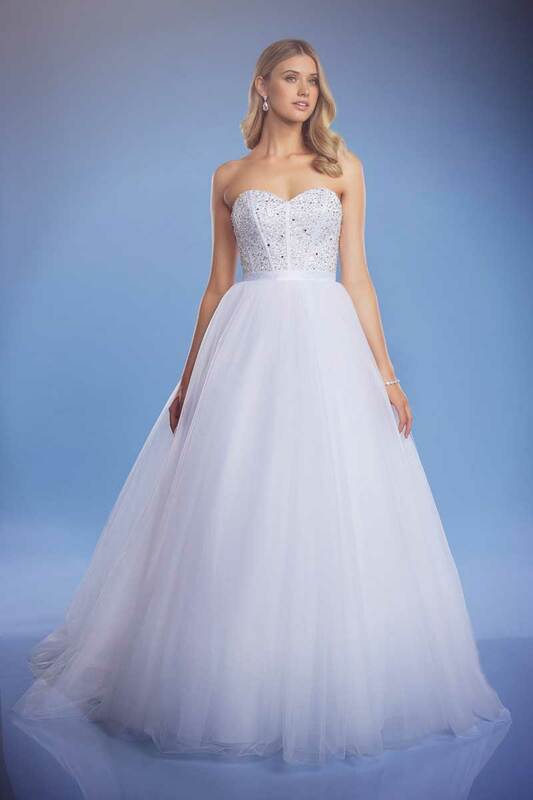 A strapless sweetheart bodice delicately encrusted with pearls, sequins and jewels that compliment a full tulle skirt. 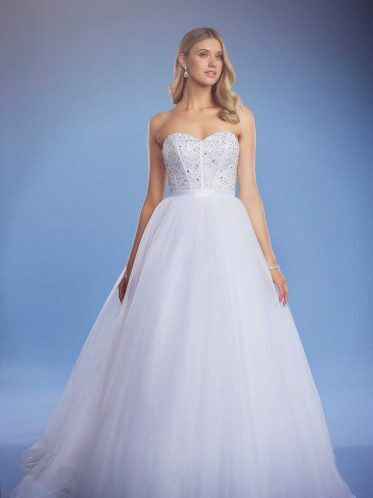 Most of all the boned bodice is laced up at the back for a flawless fit, Most noteworthy is beautifully finished by the flowing train that will follow the bride with each step that she takes. Available in White or Ivory. 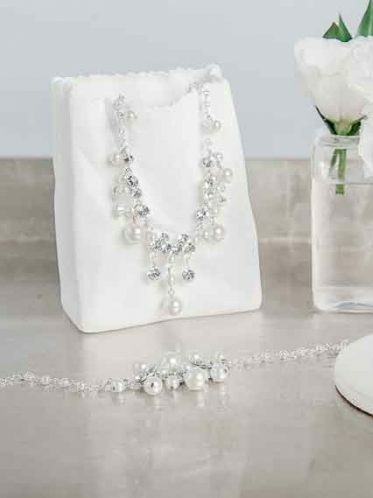 This style should be paired with a sparkling drop necklace like the flirtatious style. And the delicate matching earrings with glamorous curls. Lovingly designed in Melbourne. 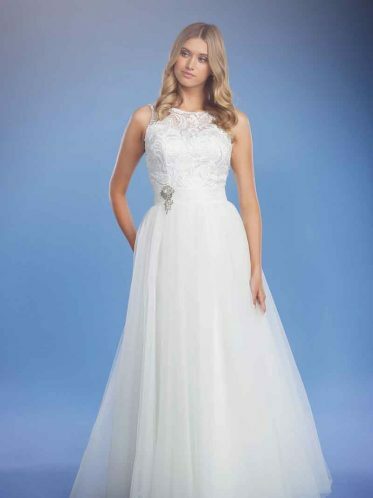 The Arabella bridal dress is made from a beaded bodice of rhinestones, pearls and sequins over a satin bodice and multiple layer gathered tulle skirt. The Arabella dress is available to view or try on in our Hallam based showroom. Just a 20 minute drive from Melbourne. For more information, or to make an appointment with one of our lovely stylists, please contact us on (03) 9703 2198. Lovely lace, floating fabrics and stunning silhouettes have come together to create the new Leah S Design wedding dress Collection, Dresses to Dream About. Created for effortlessly beautiful brides who are in love with simply being in love, the Collection celebrate all things romance. A selection of fitted and flowing styles, delicate embellishment and intricate finishes, every bride is sure to find the dress of her dreams. Available in sizes 4 to 18. 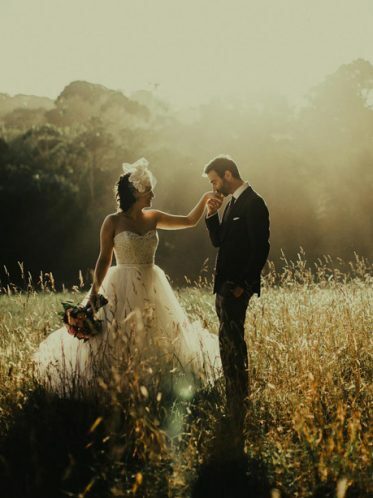 Check out our wedding dress accessories, designer wedding dresses, deb dresses for sale, wedding bags and wedding shoes Melbourne.